Clump # 109: Return unwanted decoration; start clearing floor of pantry. I helped at a local food pantry’s one-day Christmas gift give away for needy people today. The items up for grabs were all donated, second-hand, but in good condition. Except for one table of toys in the back, which were all new, and where I was stationed. Mostly I had to tell people who came by that there was a limit of one item per family, since the new toys had to last the whole day. People came in by appointment, and it wouldn’t be fair to those with late appointments if all the new toys had been taken by those with early times. I was the fairness police, and for the most part it was okay … people were understanding about the rule. But I will be haunted by a woman in a wheelchair who wanted a Barbie for each of her two daughters. Barbie, Barbie, Barbie. By far the most popular toy on the “New Toy Table.” What is it about this doll? My sisters and I played endlessly with our Barbies, and the allure has not diminished in the least. I am going to keep my eye out for good sales and vow to donate some more new ones next year. Since the Barbies given away today were very basic, in a simple two-piece bathing suit, I was able to see the difference in the doll’s body shape since my day. Barbie’s body can now support life! And she has a belly button! I’m avoiding discussing the clump today. 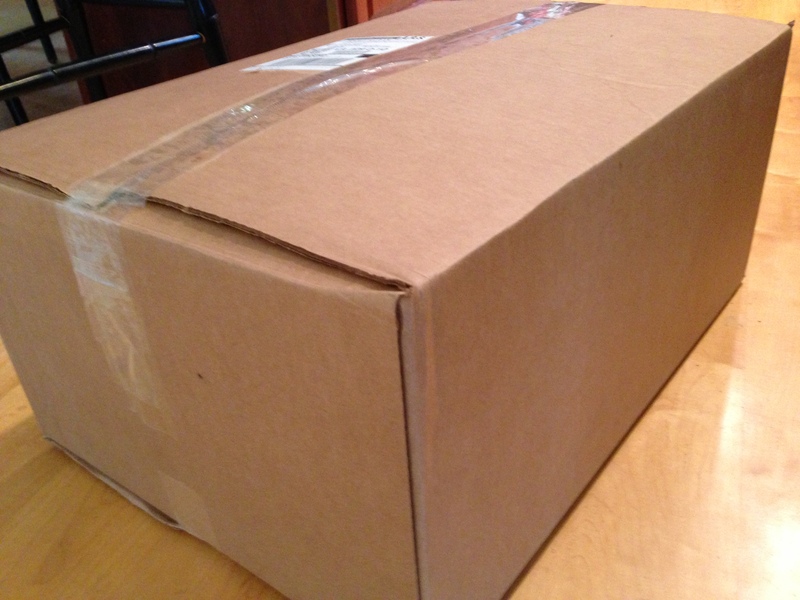 I did get a box out to UPS to return a holiday decoration I had purchased but was displeased with. This sounds very snooty, especially given the way I spent my morning. The clump I’m stumped about is on the darned floor of the pantry I’ve been clearing out. Why in heaven’s name did I put it there? Most likely a quick shove-in right before guests were to arrive. But inside lurks something I’ve been flummoxed about for a long time. Ironically, a doll. My younger daughter received it from my father-in-law’s second wife. My husband’s mother died when our younger daughter was too young to remember her, so this step-grandmother, who didn’t have a grand daughter, took over lovingly in her place. 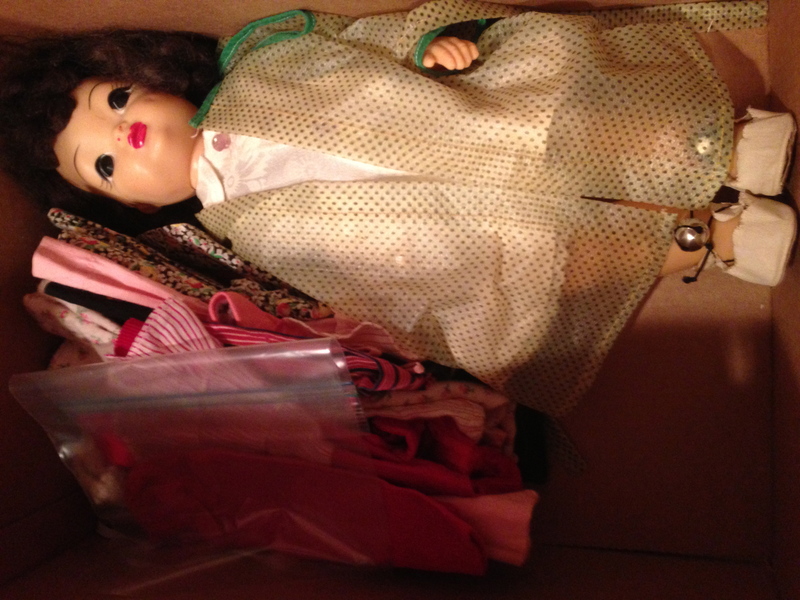 This was a doll that had belonged to her daughter, who had died without children. I had packed it up to send to the step-grandmother’s surviving son, but he and his wife adamantly insisted that we keep it, since she meant for it to go to our daughter. The only problem is that our daughter never really cared for it. I know she appreciated the gesture … but really didn’t want to keep it. I’m sorry to say, she was no Barbie. So now I feel badly every time I see her, or think about her. She even has hand-made clothes! For now I’ll put this clump in the basement, but with heaviness, because one of these days I’ll be de-clumping the basement and will have to revisit it. I put the question out to anyone who is still reading: What should I do with her? I can’t throw her out. Sell on eBay? Donate to Goodwill? 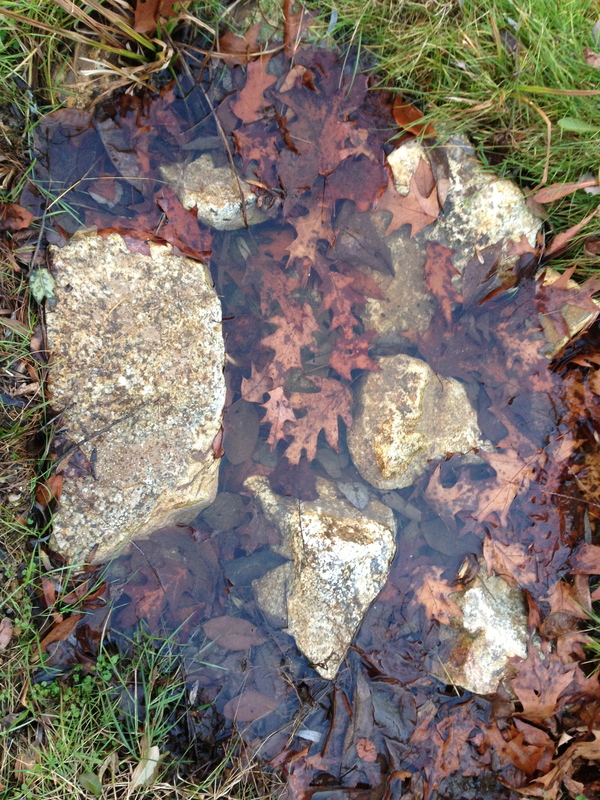 Save for future generations? I guess I’ll start with the premise that the loving and lovely grandmother would not want her gift to be a burden … stuck, rocklike, weighing us down. Wow this is a tough one. 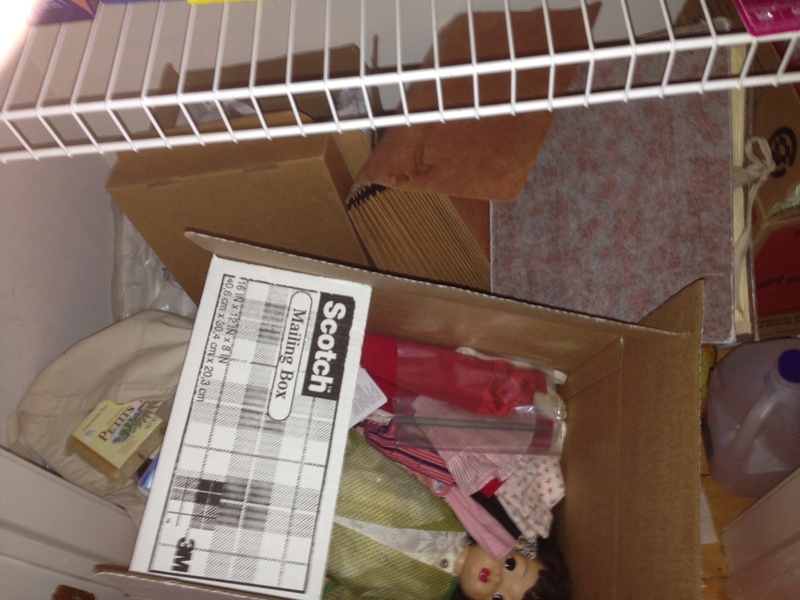 My best guidance is to offer the doll on Freecycle. Especially if your daughter doesn’t want it and didn’t want it. You’re right, the loving grandparent would not want her gift to become a burden, to you or your daughter. Great idea, and point taken. �I will investigate Freecycle and possibly report how it goes. (Just typing that last word makes me realize it really needs to “go.”) �Thanks! Seems like the answer to your question at the bottom of your post may have been provided by your concern at the top of your post, Judy. Would it qualify to be added to the Lord’s Pantry next year? Excellent point. �I don’t know whether our old doll could compete with Barbie. �Then again, I didn’t think anyone would want an old seat cushion that had belonged to my dad (a reject from the Fall Festival Sale). �I can’t tell you how great it made me feel to see a crusty guy walking around with it tucked under his arm!